Buy to let investors in the private rental property sector contribute a huge £16.1 billion to the UK economy. Through their spending over the year, landlords in the UK contribute towards thousands of jobs from builders and tradesmen through to accountants and letting agents. This figure has nearly doubled from £8.5 billion a decade ago, following the long-term expansion of the rented sector and rising costs per property. Property maintenance and servicing represents the largest running cost for landlords across the private rental sector (PRS), totalling £5.8 billion. The next largest outlay is for those landlords that use a letting or management agent and contribute a collective £5 billion. 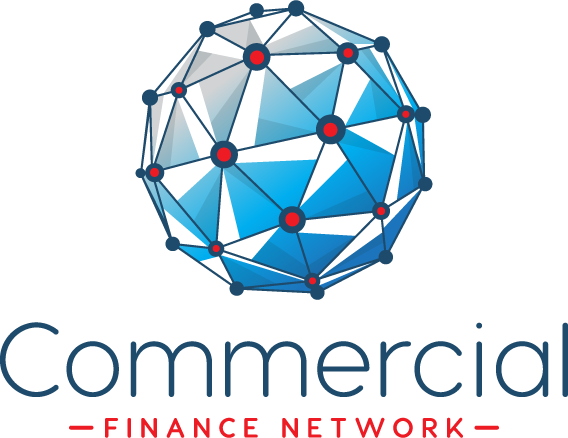 Investors spend a total of £567 million on accountancy and legal fees, £341 million on administration and registration costs, contributing an additional £908 million of spending solely dependent on the PRS’ existence. Landlords also contribute £2.3 billion on service charges and ground rents, £848 million on utilities, £791 million on insurance, and £618 million on other associated costs of running a property. The average landlord now spends £3,571 per property in annual running costs, before tax or mortgage interest – equivalent to 32.9 per cent of rental income. These costs have risen by 5.6 per cent in the last two years without factoring in increasing taxes. Since the start of 2009, costs have jumped by 28 per cent, a rise of £771. £1,086 is currently spent on maintenance, repairs and servicing, and £935 spent on letting agent fees per property. A typical landlord spends £426 per property each year in ground rents and service charges. Insurance typically costs £149, and legal and accountancy fees £107, while administrative and license fees add another £64 per year. A further £528 is lost in void periods each year, a figure that has climbed in recent years as a result of higher rents, and a slightly longer gaps between tenancies. Faced by rising costs, and higher tax bills following the recent changes to mortgage interest tax relief, landlords are now looking to cut the amount they contribute. 36 per cent of landlords, surveyed by BVA BDRC on behalf of Kent Reliance, are already reducing or planning to reduce their spending. Overall, a typical landlord reviewing their outlay would cut spending per property by around 6 per cent. If replicated across the PRS, this would reduce their total spending by nearly £1 billion each year, reducing the revenues of the industries that depend on the PRS. The three words ‘London housing market’ have been enough to send a chill down the spines of many a property owner over the past 12 months or so. We all know the stresses that Brexit, and its current (and future) consequences, have had on home values since the EU referendum. The stratospheric home price growth of yesteryear has seemingly been consigned to history, and in the case of the capital, has been replaced by stagnating, if not receding, prices. You can come out from behind the sofa, though, because things aren’t all bad. Well certainly not if you’re a prospective or existing landlord. According to Foxtons, “there is momentum in the lettings business” and the estate agency consequently saw revenues rise here in 2018. Indeed, a recent report from ideal flatmate showed one sub-sector of the rental market that is performing particularly well: the market for tenants seeking single rooms. According to the online property website, the average price of a room advertised on its boards sailed 13% higher in 2018, to £855 from £781 in the prior year, thanks to “a continued lack of suitable stock and a reduction in buy-to-let investors.” And prices have continued to rise in 2019, ideal flatmate said. The average price currently sits at a whopping £902, with the most expensive average in London sitting at £1,045 for a room in Westminster. Talk of the demise of the buy-to-let market is clearly overdone. The London market still provides plenty of scope for landlords to make huge returns. And while home prices are currently under some pressure, this isn’t something that long-term proprietors need to worry over, in my opinion. The capital remains one of the world’s most popular cities for both native and foreign homebuyers and it always will, meaning that property values are bound to make a comeback. Would I invest in the rentals market myself, though? No. The sea of tax changes in recent years means that buy-to-let isn’t the lucrative investment opportunity that it was just five years ago, whilst increasing regulation makes it a much more complicated endeavour. There are much better ways to make your money work for you, in my opinion, and for this reason I’m using my cash elsewhere (like investment in the stock market) to help me make my fortune. While January is a great time to be making financial resolutions, with many over-spending at Christmas, it’s sometimes best to concentrate on making the most of what you already have. For 2.5m people owning £1.4 trillion of buy-to-let, investment property is the best place to start. It comprises an enormous part of personal wealth, it requires time commitments that are akin to a part-time job, and the outlook for individual landlords is increasingly uncertain. 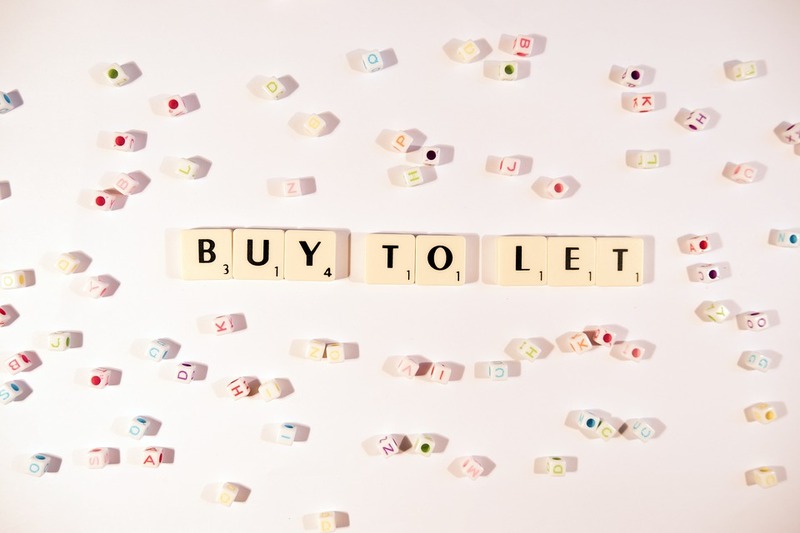 The prospects for buy-to-let investors appear to be relatively downbeat at present. In fact, this year could prove to be a challenging period to be a landlord. Political risk in the UK appears to be causing a reduction in demand among property buyers, and this could hold back the rate of capital growth which is on offer for landlords. Similarly, affordability issues and the increasing appeal of other assets may mean that the outlook for buy-to-let investors deteriorates during 2019. While Brexit negotiations have been ongoing for a number of months, a clear path towards the UK exiting the EU doesn’t seem to be any closer. At the present time, almost any conclusion to the Brexit process is feasible, with a new Prime Minister, a change in government, or even a reversal of the initial referendum result still all possibilities. In response, it appears as though prospective home buyers are becoming increasingly cautious. Various house-builders have reported a softening of demand in parts of the UK, and this trend could continue over the course of 2019. Even after Brexit has taken place, there may still be caution due to its one-off nature, linked to the fact that it’s never been undertaken before. As a result, demand for homes could slow and capital growth prospects for landlords could decline to some degree. The affordability of property in the UK continues to be a potential risk facing buy-to-let investors. In 2018, the house-price-to-earnings ratio reached its highest level since records began in 2002, which shows that many people are finding it difficult to get onto the property ladder. The natural response of the market to this issue is likely to be a fall in demand, which could help to ease affordability issues over the medium term. This situation would be bad news for landlords, since it could mean that the capital growth which has been experienced in previous years is somewhat lacking in 2019. And with yields on property already relatively low in a number of areas, the total return capacity of the industry could be limited. While buy-to-let may be unappealing this year, other asset classes could become increasingly attractive. Equities, for example, have experienced a severe pullback in the last six to eight months. This may continue in the short run, but history shows that corrections are always followed by recoveries. There could therefore be an influx of capital away from property and into the stock market as investors seek to capitalise on the undervaluation of the latter and the potential overvaluation of the former. As such, 2019 could be a tough year for property investors. While in the long term there could be continued growth ahead, there may be better opportunities within the stock market for investors who are seeking to obtain a mix of income and capital growth in the coming months. There were less buy to let investors registering to buy property in 2018 according to new data released by estate agent Haart. The number of landlords registering to buy property with the agent fell by 36 per cent year-on-year in November when compared to November 2017. London recorded the biggest fall in property investors registering, down by 47 per cent on an annual basis. On a broader scale, the number of landlords registering to buy property across the market in England and Wales dropped by 15.6 per cent on a monthly basis but was actually 22 per cent higher than the corresponding month last year. From a rental point of view however the opposite is true. Average rents across England and Wales fell by 0.9 per cent on a monthly basis, and by 3.6 per cent year-on-year. However, demand in London has increased by 7.6 per cent on a monthly basis and by 41.4 per cent annually, a major factor why rents edged up 1.2 per cent monthly month and by 6.9 per cent year-on-year. CEO of Haart, Paul Smith, commented: ‘It’s very promising to see house prices climb up on the month amidst choppy political and economic waters. November and December are typically quieter months for the property market, but I expect we will see a surge in activity across the country once the Christmas lull is over. He continued: ‘The monthly drop in the numbers registering to buy in London, which coincides with a huge increase in the number registering to rent, is indicative of buyers waiting for the political in-fighting to blow over. However, if the government were to provide clarity on Brexit, this would act as an ignition to unlocking the market’s huge potential. Buy to let investors are always looking for the best rental yields, so what type of properties can provide the best rental yields at the moment? According to data from online buy to let agency yieldit, three out of the top five highest-yielding properties were houses with three bedrooms or more, producing net rental yields of up to 11 per cent. Houses with three bedrooms or more are able to attract multiple tenants or larger families, and also tend to be freehold and therefore have no service charges attached that need to be deducted from the net rental yield. In fact, houses as a whole came top for rental yields at an average of 6.4 per cent, followed by studios at 5.3 per cent and apartments at 4.9 per cent. When it came to apartments, one-bedroom apartments were found to be a better investment than two-bedroom, with average net rental yields of 5.4 per cent compared to just 4 per cent. One-bedroom apartments without parking were found to have higher rental yields (5.5 per cent) than those with parking (5.2 per cent), likely down to a lower purchase price.